An American psychoanalyst comments on the matters in his world - books he reads, movies he watches, conferences he attends - from a psychoanalytic perspective. Intended for those curious about modern applied psychoanalysis. This grows out of a project - the 10,000 minds project of the American Psychoanalytic Association - intended to help the public become aware of contemporary psychoanalysis. Though psychoanalysis as a discipline and a field is largely the invention of one man, Sigmund Freud, it has been practiced, altered and thought about by a myriad of individuals. In fact, Freud first learned of a new technique of treatment from his friend Joseph Breuer, who called it “the talking cure”. Breuer was reporting his work with a patient, Bertha Pappenheimer (they called her Anna O), who, when she first started to recall the things that had preceded being symptomatic, had called it “chimney sweeping”. 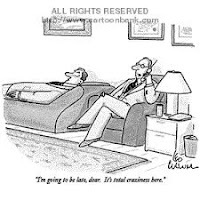 Most people, when they think about psychoanalysis, think about it as a psychotherapeutic technique – one where the psychoanalyst sits behind a couch that the patient is reclining on; this has been the staple of New Yorker cartoons for decades. Psychoanalysis is also, though, a theory of how the mind works that is derived from listening – yes, frequently from behind those couches – to how it is that people think – what they say when they are encouraged to say whatever comes into their mind – the primary and explicit direction that Freud offered to his patients. This theory of mind is used not only to understand and help individuals who are confronting difficult lives, but also in understanding the worlds of art, literature, politics and business. So, psychoanalysis is, first and perhaps foremost, a way of listening. What Freud was encouraging was the process that he called free association. “Just say what comes to mind” might sound easy, but it turns out that freely associating is much harder than it appears. On our way from thought A to thought B we frequently get sidelined by thought Q or Z. We feint and dodge rather than moving smoothly through our thoughts. One way of thinking of the goal of psychoanalytic psychotherapy is to help us think more freely – to be less encumbered by the defense mechanisms – the feints and dodges that Freud and others discovered and described as they listened to people engaging, as best they could, in free association. Psychoanalysts have spent a great deal of time working on how best to help people learn to think and talk more directly and clearly – frequently by helping them discover and evaluate what it is that they fear – what they feint and dodge to avoid – and once that has been identified, helping them decide whether that feinting and dodging continues to serve them well – or whether they can more directly face uncomfortable or even terrifying thoughts and learn to move through and address them rather than to skirt and avoid them. An important part of this process is providing a safe place – a relationship that is reliable – in order to do the work required to face these difficult thoughts. 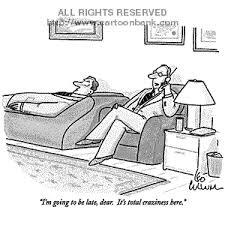 So, by listening and hearing how people’s minds work, psychoanalysis also becomes a theory of the mind. The theory emerged from seeing that we are not driven solely by “rational” or “conscious” thoughts, but that many of our most important decisions and actions – things like whom we choose to marry, what profession we choose to pursue, and how we respond to people that we interact with in the course of a working day – are driven by unconscious wishes and desires – and by our efforts to avoid being aware of those wishes and desires – the feints and dodges of the analytic hour end up being the stuff of lived life – the stuff that is part and parcel of our everyday functioning and interactions. The idea is that the unconscious is not just a place where we store stuff that we aren’t remembering at the moment and, in some cases, can’t directly remember even when we try, but that it is where the action is – where we weigh what to do, it is where the deals are brokered that lead us to do this rather than that – choosing a course of action, for instance, where we don’t get all of our needs met, but we also think that we won’t take some of the hits that we would expect if we were to do something else that would more fully satisfy us. We believe or state that we are acting rationally – or doing this because of that, but in fact, there is a much more complex process going on and most of our important decisions involve a great deal of compromise, much of that unseen – having taking place under the radar; unconsciously. The psychoanalytic mind is, then, a very rich place where a lot of things are happening simultaneously. On the most basic level, we are breathing and regulating our heartbeat – usually outside of our conscious awareness, but not always. We are reacting emotionally to situations and we may be struggling to manage multiple competing emotions aroused simultaneously. We are considering what courses of action are open to us and imagining what the consequences of doing this versus that will be. And we are engaged in activity – we are talking – and perhaps walking and chewing bubble gum – all at the same time. Psychoanalysis has been parodied as a process that reveals what we are “really” thinking – as if there were some simple thought that was responsible at any given moment for what was going in a tremendously complex system. I have come to think of psychoanalysis not as reducing us to what is “really” going on, but expanding our ability to think about what is “also” going on – psychoanalysis is, then, a means of exploring the multiple parallel processes that occur within our minds all the time and that are intrinsic to being human. When psychoanalytic thought has been the axiomatic system for scientists studying development – Daniel Stern is an example of such a scientist in his book the Psychological Birth of the Human Infant; or brain structures - Mark Solms and others have done extensive research in this area – we are able to put together information into a working system that ends up describing how we as people actually work. Instead of having a bit of information about this or that part of our functioning, we have an overarching theoretical system that helps us relate the various results of basic scientific work together into a working model – one that helps us better understand why we as individuals – and as a culture and even, at times, as a species – do the things that we do. The psychoanalytic perspective, then, is important because, in so far as it accurately represents the ways that the mind works – the architecture of the mind, as it were – it facilitates our getting a better handle on this very complex thing; the most complex closed system in the known universe. Something this complex needs is a roadmap – a more or less accurate description of the terrain – for us to make headway on an individual level – improving people’s psychological functioning as much as possible – and on a scientific level – articulating how the mind as a whole works in a way that fits with our lived experience. A perspective that attempts to do all of this is going to draw on other disciplines and it is also going to be internally inconsistent as we try to determine which elements are most important – and it is going to evolve as we learn more about the human condition. Psychoanalytic theory does all of these things – which makes it a complicated perspective to study, but, in so far as it is accurate to depict ourselves as actively working outside of our awareness to engage with the world, it is a critical perspective to help us understand human functioning – in the consulting room and in the world at large. The writing that I do in this blog is, then, applied psychoanalysis. It is the mind of one person - me - reaching out to that of another - usually to a product of that mind - a book, a movie, a work of art - and reporting some of the impact of the other on this person - including the ways that I wonder about how that work is indicative of the functioning of the other person's mind. Ultimately, I suppose that I am maintaining through the writing that I do here that the deeply human process of communicating is enriched by a psychoanalytic way of listening - by trying to hear the reverberations of the creator's mind in the creation and in my own unconscious mind. Of course, the mechanism for doing this is consciousness. I don't have the ability to directly tap into my unconscious - it's called an unconscious for a reason - but I have worked to be more attuned to the ways in which the unconscious influences my own and other's conscious functioning. I hope, in turn, that you find this useful in your own thinking about the material addressed here. To access a narrative description of other posts on this site, link here. For a subject based index, link here. I have enjoyed this very much. 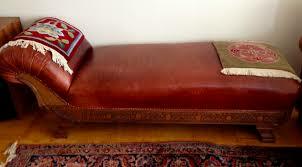 As someone who is in psychoanalytic treatment, I relate to what you have written from my own experiences on the couch. Paul, I know that I composed a response some time ago, but I apparently didn't hit a button. Glad that this resonated with your experience. Min Jin Lee’s Pachinko: Colonialism with a twist.